Shinji Mikami – a very well-known personality in the world of video games, especially for those who like Asian development. Mr. Mikami has participated in the creation of console hits in various genres: from c drawing detective quest Ace Attorney (2001) and platforming Viewtiful Joe (2003) to the cult action series Devil May Cry (2001-2008). However, even more recognition for his master got the idea of a game series Resident Evil (1996-2009), which is 6 years got even before the movie screen. 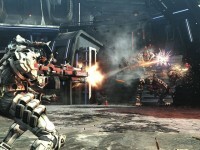 In March 2010, Shinji opened his own studio – Tango, and its recently acquired a holding company ZeniMax, which owns Bethesda Softworks, and other interesting assets in the gaming industry. However, the management of the new company and work has not yet been declared a secret project – just part of the course designer. In his spare time he works on the side: the prestigious post in the studio Platinum Games, where he is allowed to act as a freelance director for new projects of this command. Achieve this in this company it was easy, because Mr. Mikami is one of the founders of the company. So, Vanquish can be easily ranked as the next new job, where Shinji Mikami was one of the main links in the chain of the creative process. It is no wonder that this game pretty quickly attracted the attention of critics and users. The project is in development for about three years, and produced by Atsushi Inaba him, which is not the first year of working with Shinji in the creation of various games. Portfolio Platinum Gamees also speaks for itself: Mad World (2009), Infinite Space (2009) and the same phenomenal Bayonetta (2009). 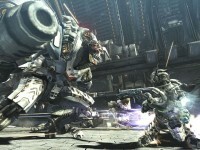 In general, Vanquish - is a console shooter for the Xbox 360 and PS3 with a science fiction plot. Imagine the relatively near future, where people are once again a struggle for dwindling resources. U.S. authorities launch a new orbiting space station to the expense of solar energy to solve their problems, but at this time in Russia, with his hands predictable writers, is a coup, leading to the emergence of a new dictatorial regime. Then the insurgents, not long thinking, captured the American space station, and the stored energy is used for the destruction of San Francisco. Supervises villains Viktor Zaitsev, threatening to deal with other U.S. metropolitan areas. The victims are unwilling to compromise and turn to the Old Soldier, Robert Burns, so he assembled a detachment of special purpose – “Team Bravo, which does not just military, including escaped after the attack on the station, but the main character – a scientist Gideon Sam. It would seem that the sense of Sam’s battle group will be small, but everything is exactly the opposite, thanks to a unique ARS-costumes designed by the Ministry of Defence. 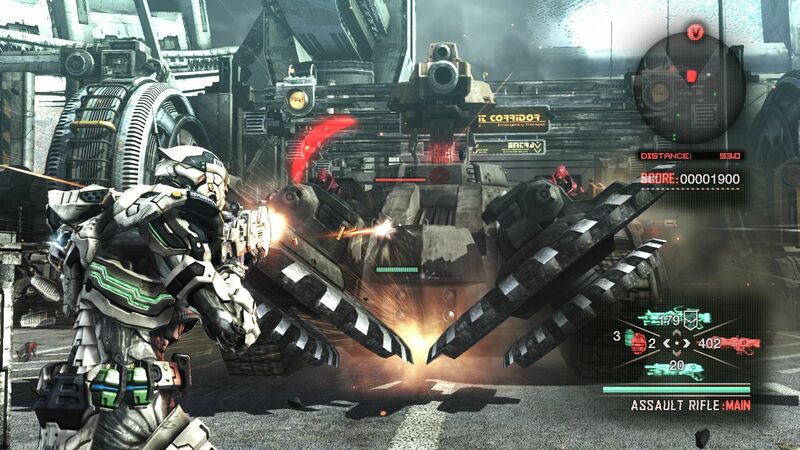 Armor has a wide range of amusing features, such as jet accelerator for rapid movements and a system of arms Blade, who knows how to identify gun opponents and clone samples directly into the hands of the hero, keeping in mind the data on the three most recent acquisitions. Moreover, the higher the U.S. government has plans to Gideon, who wormed the detachment of special forces must perform secret missions to prevent the continuation of global catastrophe. 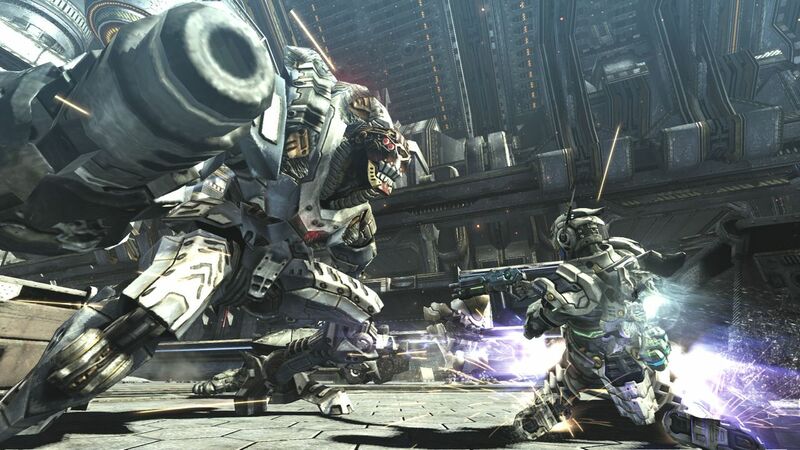 In principle, a similar story is hardly a strong point Vanquish, with all its plot twists, as well as playing dialogues that are unlikely to help reveal the inner world of the characters. Although I must admit, sometimes even entertaining videos to watch, and a few amusing moments to show their worth, but common sense and a sense of immersion somewhere still lacking. 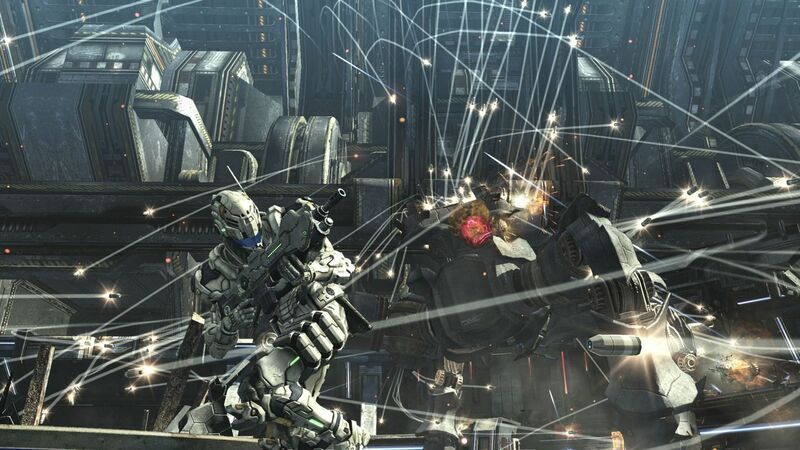 However, in a spectacular action movie where the important role played by dynamic gameplay and colorful graphics, and c in this Vanquish is all right. Let’s start with the fact that the action takes place with a third person, and the ability to instantly hide behind the shelter, available in locations, is very useful in difficult situations. At the appropriate moment, you can pop out, kill someone and at a rapid pace to proceed to the next important point. Arsenal of available weapons include not only familiar to shooter guns – assault rifle, standard and sniper rifle, rocket launcher – but the futuristic designs, strongly tied to work with the rays and energy. In addition to the electromagnetic and the bursting grenades, at any time with him can be no more than three types of weapons. In this case, dead enemies will be willing to share charge for the gradual improvement of the barrels. Raised bonus applies on the weapons that are actively at the moment. Over time you will be able to improve not only the capacity of ammunition, but also caused damage to specific guns. Pay attention to the unique costumes of Gideon, allowing accelerated glide over the surface to quickly get to the coveted shelters, as well as carry heavy melee attacks. 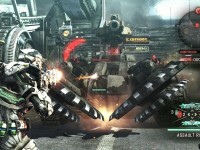 At critical moments, it helps slow the time to successfully maneuver between the enemy volley. Even in the future ARS-Armor has a perpetual source of energy, so he will have to give a break to recharge, making timely search of secluded places even more important. Opponents in the Vanquish are very diverse, sometimes striking the imagination of its essence, design, and yes even smart enough. Casual difficulty mode for the Asian market the Europeans would have seemed far more intense hardship, but it’s a bonus if you do not look extreme, which in time will open in a Vanquish. 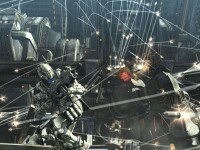 Opponents themselves cleverly used the shelter, but do not go against the assault, if a player suddenly, too zasiditsya in one place. All this makes the passage even more dynamic, compelling, one by one to visit the magnificent fighting arenas. Intermediate and more meaningful bosses are able to pull his nerves dashing fatal blow. To overcome them, will have to show proficiency in finding weaknesses villains. Undoubtedly, the design of major opponents of the authors failed to glory! Passage Vanquish does not take much time. Those who are familiar with the genre, take no more than 10 hours to completely overpower the adventure, and this – with a reserve for possible cases of death of the hero. 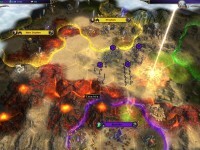 Events are moving with lightning speed towards the final outcome, and the lack of multiplayer lets hope except to repeat the passage of the main campaign in pursuit of the points in order to avoid other human opponents in the standings. While at first you’ll have to hone their skills using the accelerator to pass the levels in the same breath. Someone management may seem overly sensitive, but we are in this sense, all perfectly arranged. 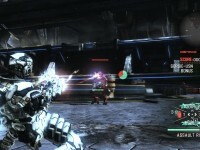 Given the pace of the game the delay in response to commands from the gamepad could result in fatal consequences for Sam. 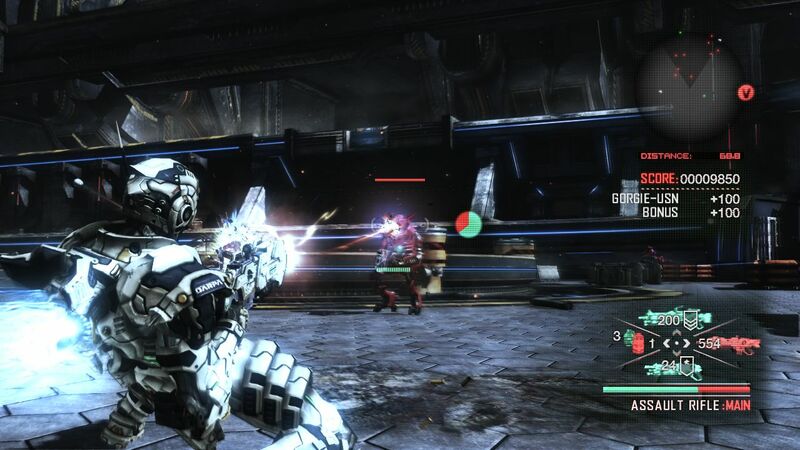 Spectacular graphics – one of the main advantages of the Vanquish. Impressive on evaluation to the smallest detail futuristic scenery, excellent animation and memorable special effects will accompany you from the start and until the final point of the passage. We can not make a compliment soundtrack game. The abundance of bright and juicy effects of the décor, harmoniously accompanies any action. The music dominates the electronic style and a mix of influence of Asian and European cultures. 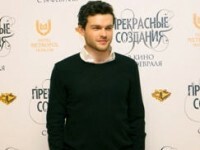 The English version was voiced by British actor Gideon – Gideon, too, but by the name of Emery, and his face can be seen in a cameo in the movie “Boys-raiders” (2010). Well, the new project of Shinji Mikami, Vanquish - very worthy representative of the genre of console shooters, does that have to forgive him his transience. However, the addictive gameplay will definitely not be bored throughout a fantastic adventure, but we still go sit pretty shabby enemies ARS-suit to the dry cleaners. Sci-fi shooter, which the unfolding events in the recent and rather bleak future. Energy resources are depleted Earth, the planet is raging world war. In the role of government agent Sam Gideon player will go to one of the huge space stations and what is enjoyed by all influential states, with the task of finding out what is really happening in the world. Sam is dressed in a futuristic battle suit, well armed and very serious about. Break stereotypes. 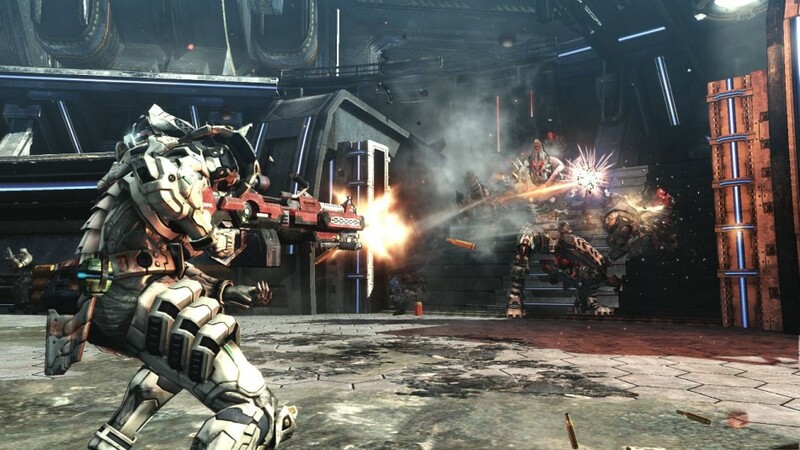 Innovative combat system allows you to combine shooting and melee, which makes the battle incredibly dynamic and exciting, bringing the genre third person shooter on a qualitatively new level. Unstoppable and desperate. A unique battle suit gives the hero of superhuman strength and agility, making it a perfect weapon. An epic and ambitious. Space Station – a giant flying city. How to make your way through the labyrinth of corridors, its main character, depends solely on fantasy player. Supported and encouraged. Built-in statistics carefully considers every act and worthy of reward, for example, a successful tactic or reaction time, inspiring the players to pass level after level.